As busy parents, you might not find yourself being able to be home in time for your children. Leaving your kids alone at home is not a safe option as anything could go wrong – from an accident to intruders at home. In such situations, finding a babysitter is a highly recommended solution. Nowadays, there are individuals out there who have made a career out of being babysitters. They are known as professional babysitters and have qualities and provide services which are much better than an average person watching over your child. There are maid services in Dubai who have professional babysitters working under them and can extend their services to you. Babysitters from such reputed agencies guarantee the best of services at all times and are quite reliable in their jobs. Professional babysitters are often certified “sitters” and caretakers who have prior experience or training to do their job well. They are usually good with children of all ages and both genders and are mostly legally adults. Agencies hire babysitters who have a reliable means of transportation or have a driving license to be used in cases of emergency. 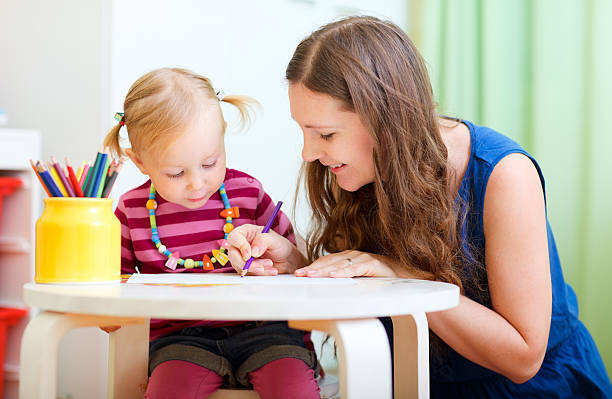 Babysitter professionals are trained to use their time wisely and engage children in meaningful activities suited for their age. They can also interact well with the kids and are usually qualified enough to help younger children with their school works or reading. They also know how to keep your kid’s company without resorting to watching too much TV or playing video games. A professional babysitter will know how to perform basic first aid including CPR. They also ensure that the kids have their immediate attention all the time. They also know when to and when not to use their cell phones and landlines. As they treat babysitting as a profession, they will use the phone only in case of emergency and not for any personal uses. Also as a competent caregiver, they won’t leave your child unattended even if it’s past their working hours. They normally wait for the parents to be home, however late it is and inform the agency of the same. As professionals, these babysitters take care to listen to all your instructions. If your child is unwell, then the babysitter will take care to feed them on time and give the medicines. They will not entertain any visitors, including personal ones during their time of service, and assure your child is safe always. Professional babysitters are the best when it comes to providing all-round care for your child in your absence. Contact maid services in Dubai to learn more about their babysitter services and find a perfect babysitter for your children.